Heiring can do something that very few jewellers can nowadays and that is to create unique, handmade jewellery with plenty of personality and loads of history. Jewellery that can last a lifetime and be passed down from generation to generation, and at the same time still be contemporary. The foundation in the company is a great family unity and a number of professional skillful employees, which ensure the costumers the attractive handmade jewelry of very high quality and a service that is tailored to the individual customer. Today the family business has created a luxury brand that focuses on high quality and Danish production. Along with the other staff, everyday Frits Heiring works to live up to the high quality and unique design from start to finish when the jewellery has to be created. The timeless, classic elegance is the focal point and the collections are always strongly anchored in a stylish mode of expression, where the craftsmanship, the love of the metal and personal expression are paramount. The company’s philosophy is that the jewellery should speak for itself. Heiring is known for giving quality pride of place and for its sustainable production of jewellery for women and men of all ages. The majority of the jewellery today is produced at the workshop in Denmark by skilled goldsmiths. When the designer gets a new idea for a design, it will always first be formed in metal and the design can therefore evolve throughout the process in shape, surface, stones, etc. 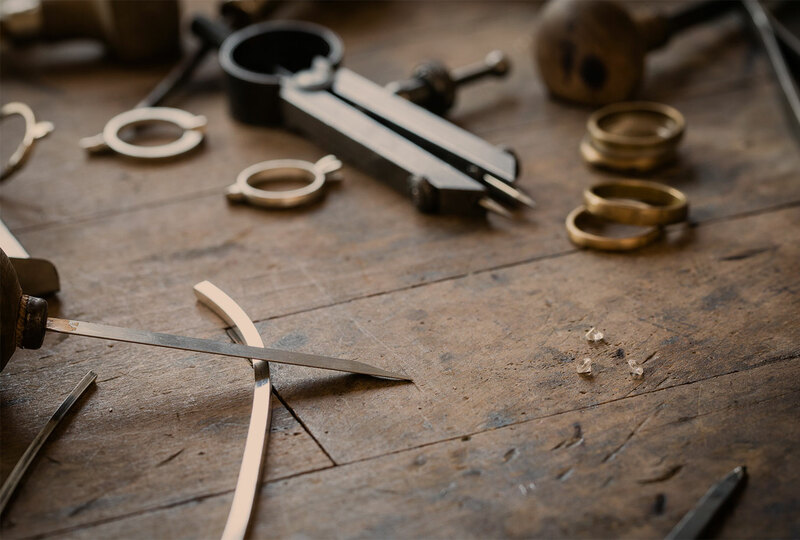 The goldsmiths have a great influence on the design process and it is through production that the jewellery is tested and the final quality must be guaranteed.